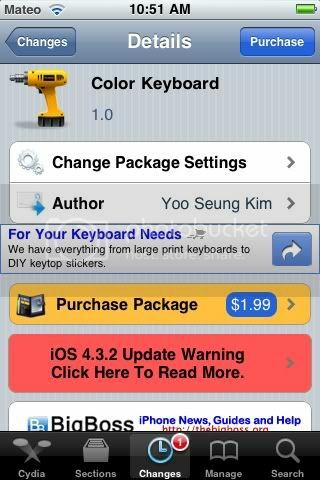 New tweak in Cydia, Color Keyboard, allows you to colorize your keyboard on your iPhone on IOS 4 or higher. You can change the colors of key buttons or you can add a background image to your keyboard. No new icons are added you configure using the settings.app. $1.99 in Cydia (Kinda expensive). Search for it.